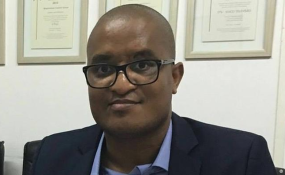 Maputo — The Mozambican police announced on Tuesday afternoon that they have launched an investigation into the kidnapping and beating of prominent journalist Ericino de Salema, but so far nobody has been detained in connection with the crime. Several details of the kidnapping have now emerged. Salema was abducted outside the headquarters of the National Union of Journalists (SNJ), where he had lunched with the SNJ general secretary, Eduardo Constantino. Constantino told the independent television station STV that during lunch Salema had also been working on his laptop computer. The kidnapping occurred after Salema left the SNJ restaurant, at about 13.50, and walked over to his car. He left the computer in the back of the car, and then walked to the passenger door at the front of the vehicle. Before Salema could enter the car, he was seized, and dragged over to a second car. Eye-witnesses told reporters that the second car had been parked outside the SNJ since about 10.00, with the engine running and the air-conditioner on. Salema's driver said there was no gunfire, but could say nothing further about the kidnapped. He has been taken to the nearest police station for further questioning. STV said Salema had received threatening phone calls on Monday, but gave no details of these calls. A couple of hours after the kidnapping Salema was found lying unconscious on the Maputo Ring Road. He was taken to a nearby private clinic, but there has not yet been any report on his state of health. There is no serious doubt that Salema was targeted because of his outspoken political views, notably on the Sunday night STV chat show “Pontas da Vista” (“Points of View”), where he is one of the regular guests. On last Sunday's edition of the programme, Salema strongly criticised the government's attempts to restructure the illegal debts resulting from the two billion dollars worth of loans from the banks Credit Suisse and VTB of Russia to the security related companies Ematum (Mozambique Tuna Company), Proindicus and MAM (Mozambique Asset Management). He also called for the resignation of Finance Minister Adriano Maleiane.